Claire Shipman is a journalist, author, and public speaker. Before turning to writing, Claire spent almost three decades as an award-winning television journalist. For the last 14 years Claire was a regular contributor to Good Morning America and other national broadcasts for ABC News. Before that she served as White House correspondent for NBC News where she regularly reported on policy and politics for NBC Nightly News and TODAY. Prior to that, she worked for CNN for a decade, covering the White House, and also posted in Moscow for five years, covering the fall of the Soviet Union. Claire’s reporting from Moscow helped CNN earn a National Headliners Award, and a coveted Peabody award. She received a DuPont Award and an Emmy Award for coverage of the 1989 Tiananmen Square student uprising, and a DuPont Award for CNN’s coverage of the 1995 Oklahoma City bombing. She graduated from Columbia College and later earned a Master’s degree from the School of International Affairs there. She’s now a member of Columbia’s Board of Trustees. She lives in Washington, DC with her husband, Jay Carney, who served as White House Press Secretary for the Obama Administration (2011-2014) and their two children and three dogs. There are many things to admire about Claire Shipman: accomplished journalist; best-selling author (three times over); mom of two; smart; classy; and sophisticated. Most of all, however, you instantly like Claire because she’s one of the most down-to-earth, authentic people you’ll ever meet. 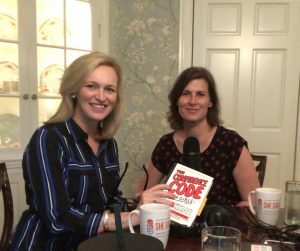 To talk with her about where confidence comes from is an enlightening treat — especially when Claire admits to not being the most confident of people in spite of her professional success. 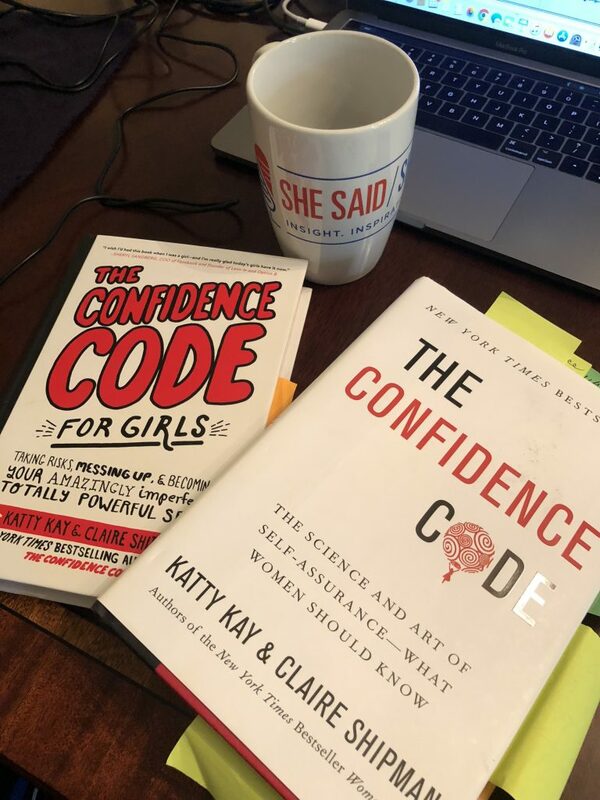 Claire’s books — The Confidence Code, The Confidence Code for Girls, and Womenomics — all well-researched and written with friend, collaborator and fellow journalist BBC’s Katty Kay, have helped to increase awareness about what we can do to increase confidence in ourselves and in our daughters. As Claire would be quick to tell you, you don’t have to have been born with excessive amounts of confidence to be successful, but you do need to get comfortable with the uncomfortable….and the fear. Her advice: “Do more, think less, and be authentic.” Our conversation is illuminating and inspiring, and Claire’s work is having a significant and positive impact on others.